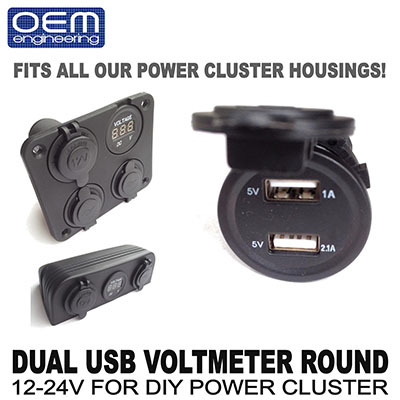 New device for our DIY Power Cluster Kits! 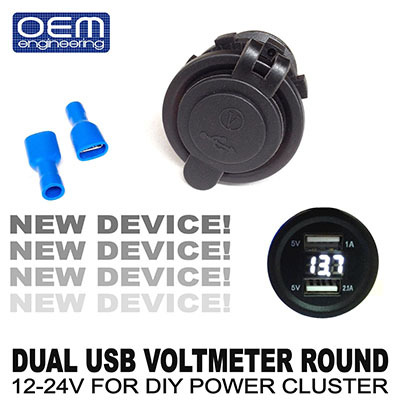 Our new Dual USB voltmeters feature dual USB charger outputs, one 1amp and one 2.1amp. 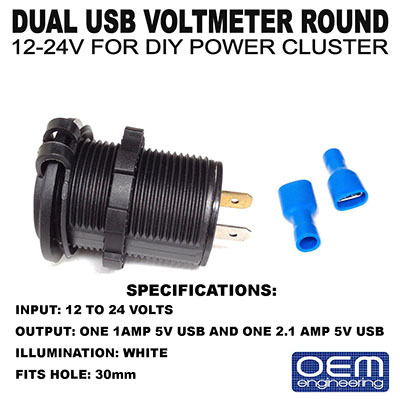 It also has a built in voltage gauge to easily monitor your vehicle's battery or charging system status. This device will fit all of our Power Cluster housings.